Cityskin has experienced practitioners in Melbourne and Sydney. Cityskin prides itself on helping our patients feel fresher and not fake. Our team has an average of 8 years’ cosmetic injecting experience. Click on the tabs below to read more about the Cityskin team members. Dr Mary Fonti is a GP and Cosmetic Physician and has a natural talent for dermal filler, especially the cannula technique. Mary has been injecting since 2011 and, over time, has found her passion lies in dermal filler and thread lifts. Mary is also a GP with a specialist interest in skin cancer medicine. 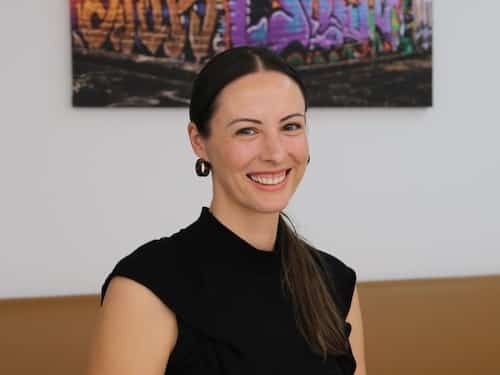 Mary completed her medical degree from the University of Melbourne in 2007 went on to work at the Royal Childrens and Royal Melbourne Hospitals before specialising in Cosmetic Medicine. Mary treats all areas of the face, including complex areas such as the nose and temples. She works at Cityskin Brighton and you can book a free consultation with Mary online. Bio: Katy qualified as a Registered Nurse in New Zealand where she gained experience in acute medicine and neuroscience. Following a move to the United Kingdom, before settling in Australia. Katy is internationally trained in injectables and laser treatment and has worked in dermatology and medical aesthetics for 20 years. She has post graduate qualifications in advanced nursing practice, has completed a Masters of Nursing and has gone on to become endorsed as a Nurse Practitioner. Mr Erik Koppert obtained his Medical Degree from the University of Utrecht in the Netherlands. He received extensive general surgical and endoscopy training in Australia, Europe, Canada, and the USA. Mr Koppert has served as a Director of Surgery and Endoscopy, Associate Professor of Surgery, and Supervisor of Surgical Training. In addition to offering General Surgical and Endoscopy procedures Mr Koppert offers anti-wrinkle, dermal filler and double chin treatments. Dr. Greg Scher is a Cosmetic Physician and offers anti wrinkle, dermal filler and double chin treatment. Greg is a GP and Cosmetic Physician. Originally from New Zealand, Greg graduated from the University of Auckland in 2005 with a Bachelor of Medicine & Bachelor of Surgery. Greg is a Fellow of the Australian College of General Practitioners. He also obtained a Diploma in Child Health from the University of Sydney. He offers anti-wrinkle, double chin and dermal filler injections and is determined to give his patients a rejuvenated natural look. He brings together his passion for medicine, anatomy, aesthetic and procedural skills in his work as a Cosmetic Physician. Known for his gentle artistic approach, he tailors his treatment to his patients needs to make them feel more confident and attractive. He believes in a model of care where combining anti-aging treatment with managing overall health gives a better outcome. Dr Greg works at: Cityskin Armadale, Brighton and Melbourne CBD. In his spare time, Greg enjoys singing and tennis, and he moonlights as a regular TV game show contestant! Kristie loves all aspects of cosmetic injectables - from mid face dermal filler to upper face anti-wrinkle and facial slimming treatments. She has attended numerous conferences and regular training and believes working in a collaborative team with experienced doctors and nurses is paramount for the safety and best aesthetic outcomes for clients. Bianca graduated from Monash University in 2002 with a Bachelor of Nursing. 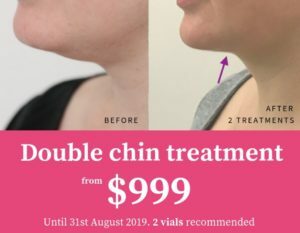 She has over 10 years experience working as a Cosmetic Nurse both here in Melbourne and the U.K. where she has held the positions – National Training Manager, National Clinical Standards Manager and Clinical Nurse Specialist for some of the UKs largest cosmetic providers and also Galderma Australia. Through continued clinical practice and education Bianca comes with a wealth of experience and has trained many doctors and nurses in facial assessment, facial anatomy and ageing, and the safe administration of dermal fillers and anti-wrinkle injections. Bianca is dedicated to providing patients at Cityskin with the highest standard of care through in-depth consultation and providing non surgical treatments to enhance natural beauty. Rachelle's teaching skills take her overseas to conferences and training events across the globe. Dr Brown is a Melbourne based Cosmetic Physician and GP. He received a prestigious award in 2014 from Monash University for excellence in teaching. 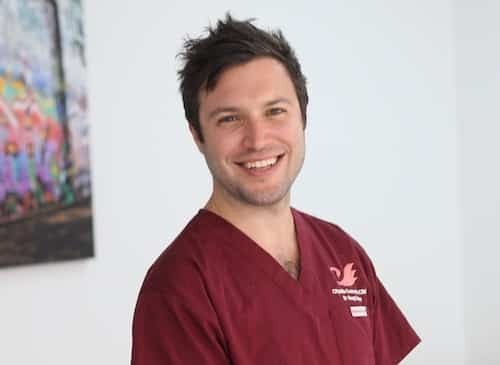 His qualifications include: Bachelor of Medicine (BM)Member of the Royal College of GPs in both the UK and Australia (MRCGP, FRACGP) Certificate in Skin Cancer Medicine from the University of Queensland Diploma of Royal College of Obstetrics and Gynaecology (DRCOG UK) Dr Brown is a GP educator for Monash University and a member of the Cosmetic Physician Society of Australia. He is a keen runner and has represented his County and the South of England. Dr ILANA GALGUT is an experienced Cosmetic Physician who has worked in the cosmetic medicine industry since 1998. She is skilled in anti-wrinkle, filler and laser treatments although her passion is non-surgical whole-face rejuvenation with hyaluronic acid filler treatments. Dr ILANA strives for results where no one will know that any work has been done so that her patients maintain a balanced and natural appearance. Being a perfectionist Dr ILANA has a keen aesthetic eye and is fastidious with regard to fine details. Patient safety is paramount to her. With her background in General Practice, she understands the pressures of the modern world and the high standards placed on aesthetics in both the work and social arenas. Dr ILANA is well known in the Cosmetic Medicine industry as an expert in assessment and injecting techniques, creating subtle but significant results that allow her patients to present the best aesthetic version of themselves. Because she has worked with well-known dermatologists for the past 20 years, Dr ILANA is able to treat a variety of skin concerns and enjoys helping her patients to achieving the best skin possible. In addition to consulting patients within medical practices, Dr ILANA also works as a clinical trainer, teaching skills and safe injecting techniques to doctors and nurses at both beginner and advanced levels. Because she views each person as a unique individual, she works together with her patients to tailor an individualised treatment plan to ensure results that enhance natural beauty and attractiveness. Part of her consultation includes educating here patients about aesthetics so that they develop an understanding of what will work in their best interests. Jessica is the Practice Manager for Cityskin and joined the team in 2018. When not working at Cityskin, Jessica is doing a nursing degree in Melbourne. Jessica is also an expert in Karate and runs 2 karate studios with her husband. If you are chatting on Cityskin live chat or sending us an SMS you will be speaking with Riza. Riza has worked at Cityskin for since 2016 and is online between 0900 and 1700 Monday – Friday to help make your appointment run smoother! Click on the ‘Messsage Us’ button on the bottom right hand side of the website to ask Riza a question on Live Chat. Get to know the Cityskin team better and see how they answer some curveball questions!